Since we’ve been cooking up big batches of quinoa lately, I thought I’d share another recipe for you to enjoy this superfood for breakfast. 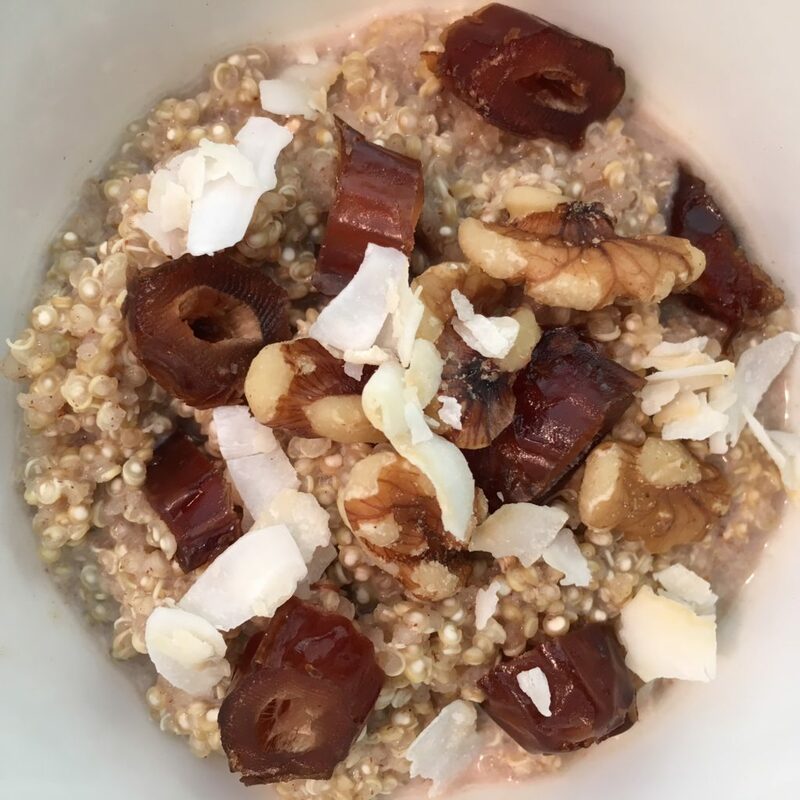 This quinoa porridge is inspired by my sister-in-law Chrissy’s favorite oatmeal recipe made with cinnamon, vanilla, almond milk, and coconut. I’ve also topped it with chopped dates and walnuts. You can top it with whatever you’d like–bananas, sliced almonds, chia seeds, blueberries, etc. Enjoy! To cook quinoa: Use 1 cup of uncooked quinoa to 2 cups of liquid. Make sure quinoa is rinsed well. Bring quinoa and water to a boil in a medium saucepan. Reduce heat to low, cover and simmer until tender and most of the liquid has been absorbed, 15 to 20 minutes. Fluff with a fork.